At Whitecliff we've dedicated more than 30 years to finding and planting grape varieties that succeed on our site. We're dedicated to sustainability, environmentalism, and producing vegan wines we're proud of. Whitecliff is an artisanal family run winery created from the ground up by owners and founders, Michael Migliore and Yancey Stanforth-Migliore. Michael has lived on the property since 1975, when he was studying for a master’s degree in organic chemistry at SUNY, New Paltz. In 1978 he started work at IBM as a chemical engineer in semiconductor manufacturing, and soon after began experimenting with grape growing as a natural expression of his background and his skills in chemistry. Wine had figured prominently in his upbringing: his German and Italian grandfathers both made wine at home, and it was part of every family dinner. Today Michael works closely with Cornell Cooperative Extension testing new grape varieties, and pushing the envelope on the quality of grape growing in the region. In that capacity he also serves as president of the Hudson Valley Wine and Grape Association. Yancey joined in the planting soon after they met—through rock climbing on the Shawangunk Ridge—and married in the early 80’s. While she doesn’t bring technical skills to the business like Michael, she has developed the ability to teach about wine that contributes to Whitecliff’s Tasting Room. The extensive knowledge of winemaking and viticulture Yancey has built up over the years is leavened by her vivid memories of learning to love wine through the kind of spritzy, sweet rosés that are popular with so many Americans. 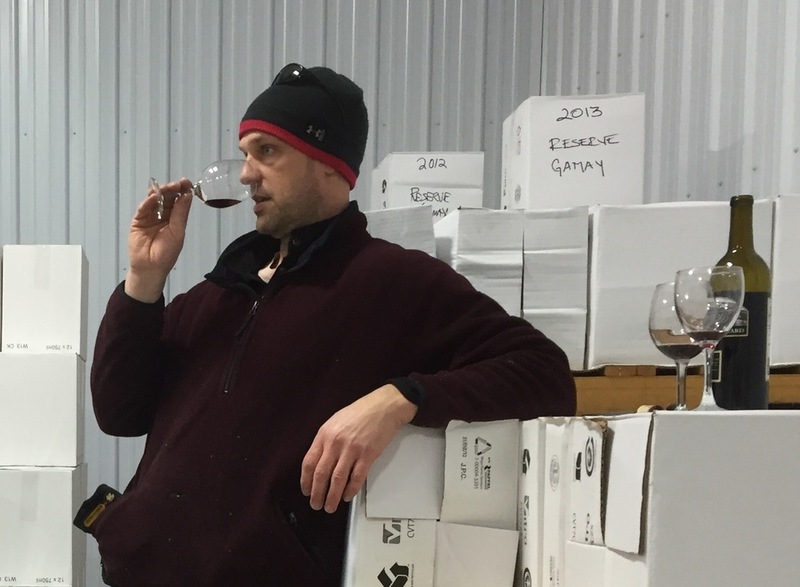 Brad Martz joined Whitecliff in the 2010 harvest as a dedicated volunteer and brought so much focus, energy, and intelligence to the cellar work that he rapidly progressed to ful-time winemaker. In addition to hands on work with Michael he’s also invested many hours in learning and research with the Cornell Extension while at Whitecliff. Brad applies the careful science necessary to make fine wine, but also brings great creativity with grape varietals that results in our interesting and ever-evolving wine list. Establishing the vineyard has been an ongoing process since 1979. It involves years of trial and error to determine which varieties will produce good yields and quality wine, while withstanding the cold winters. The rigorous approach of science and engineering, along with a generous helping of pigheaded determination, has provided the knowledge and the strong base necessary to create a successful vineyard and winery. 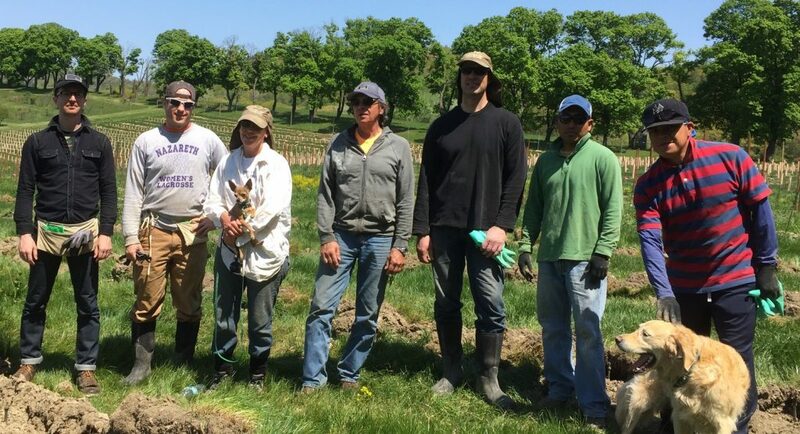 We currently have one of the largest vineyards in the Hudson Valley, with over 20 varieties of grapes planted for our continuing effort to refine our growing and winemaking. We set out to help put the Hudson Valley on the wine map. Today we have one of the region’s biggest vineyards, and have brought the Best White In Show award home to the Valley from the San Francisco International Wine Competition. click here and search for Whitecliff.